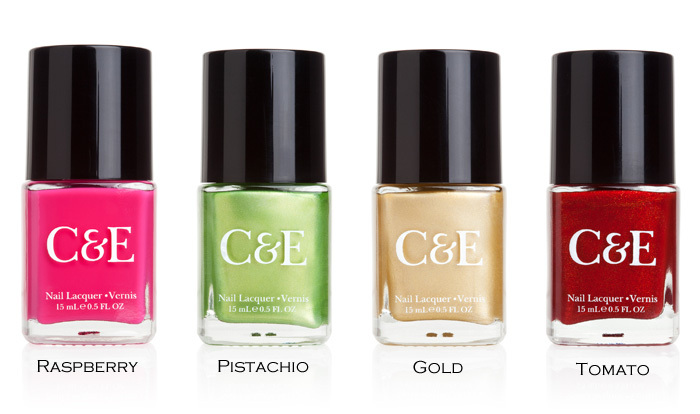 A Makeup & Beauty Blog – Lipglossiping » Blog Archive Crabtree & Evelyn Launch a Nail Polish line! 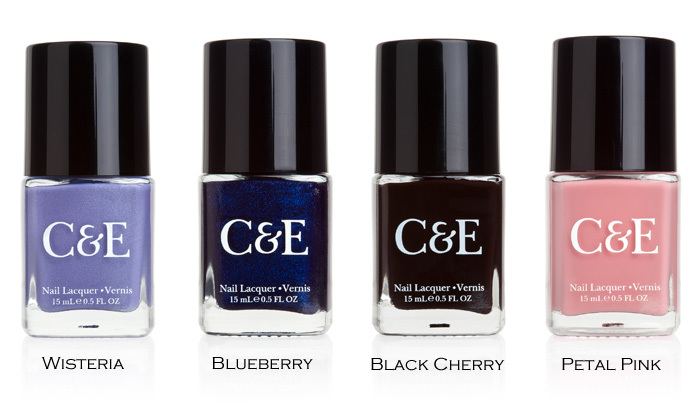 These are available at C&E here in the U.S. I’m so excited, as there are eleven shades that I would like to try. Thanks for bringing these to my attention. I hope the formula applies smoothly and lasts. I picked the gold and black cherry colours up recently after a visit to their London Store, and my I am impressed! They give such a glossy finish. They will be featuring permanently in my makeup bag from now on! Thanks for bringing these to my attention! I look forward to more of your posts. 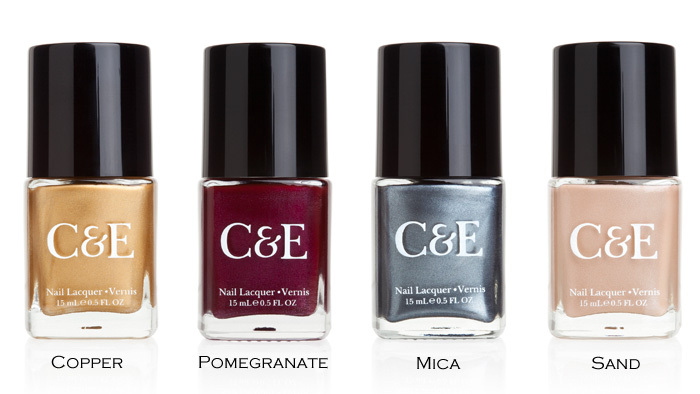 I bought 3 polishes from their line today. Gold, Sand, and Clementine from one of the outlet stores. They were on clearance included in a left over holiday set. As a huge polish lover and collector I had held off on buying polish from this line only because I already have colors so similar but it was such a bargain I couldn’t pass it up. I swatched all 3 and chose to wear sand. It is a stunning neutral and goes great with the lilac colored zoya polish I am wearing on my accent nail. It did take 3 coats to become completely opaque but so did the zoya polish. The polish dried quickly using thin coats. overall I am impressed by the quality and look forward to buying more. 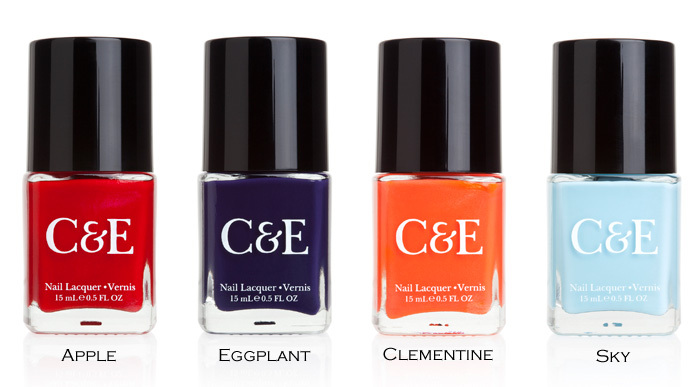 As far as Crabtree & Evelyn as a brand I am not shocked at all at the quality. I too had written them off long ago as being a bit pricey and aimed at an older demographic. But do not pass them up! Since trying many of their products, about 2 years ago, I have become obsessed and visit the outlets whenever I’m in the area. They have the best, and I mean the BEST, anti-bacterial hand gel. I won’t use any other. Their powders are talc-free as talc is a pretty nasty ingredient. The jojoba oil lotion is also great and gender neutral. They offer a lot of great stuff so please do not write them off as a nana brand.